These are neat little activities. 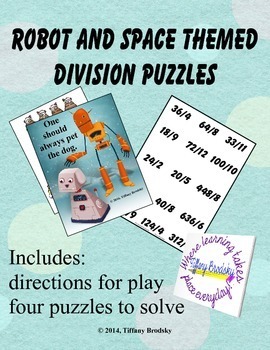 Four puzzles are included. The students work together to solve the division problems and then flip the answers over to display a puzzle with a little tip of wisdom. My students really enjoyed these. I hope your students do too.